Wherever you are on the coast, you are not far from a nature trail, each one unique and beautiful. Patsy Pond Nature Trail, part of the Croatan National Forest, offers .75 mile,1 mile and 1.9 mile routes through a longleaf pine savannah. Keep your eyes up for a chance to spot an endangered Red Cockaded Woodpecker. 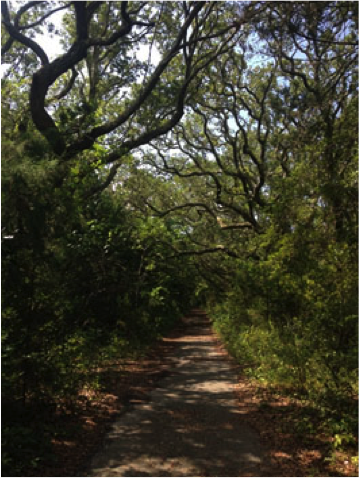 Hoop Pole Creek Nature Trail is a one-mile loop through maritime forest and estuary habitats in the heart of Atlantic Beach. Nags Head Woods This preserve is owned and operated by the Nature Conservancy and is a gem of sand dunes, ponds, marshes and maritime forest. The hiking trails are open dawn to dusk every day to foot traffic only and are all family friendly. Especially inviting is the ADA trail that is a loop comprised of boardwalks and sidewalks, allowing those with disabilities and children in strollers to enjoy a nature hike as well. You’ll also drive by the famous Poulos Family house on your way to Nags Heads Woods. The family spends about twelve weeks setting up all the Christmas and holiday decorations, so be sure and take a look! Carolina Beach State Park Six miles of trails wind through the coastal park, suitable for all skill levels. The trails are mostly flat and perfectly suited for families. Keep an eye out for some amazing carnivorous plants, native to the area. Get out on the water with your family and friends by kayaking or canoeing along some of our beautiful coastal waterways. Whether you want to meander down one of our beautiful rivers, take a tour of the Intracoastal Waterway, or explore our salt marshes, the coast is the place to be. Find a paddle route near you at ncsu.edu/paddletrails/. If you don’t have your own boat, you can rent one at a local shop such as Second Wind Eco Tours or Paddle NC. Give the gift of a healthy coast by removing litter from the water as you paddle! Pea Island National Wildlife Refuge refuge lies on the north end of Hatteras Island and is a much-used feeding and resting area for many species of wintering waterfowl, migrating shorebirds, raptors, wading birds and migrating songbirds. 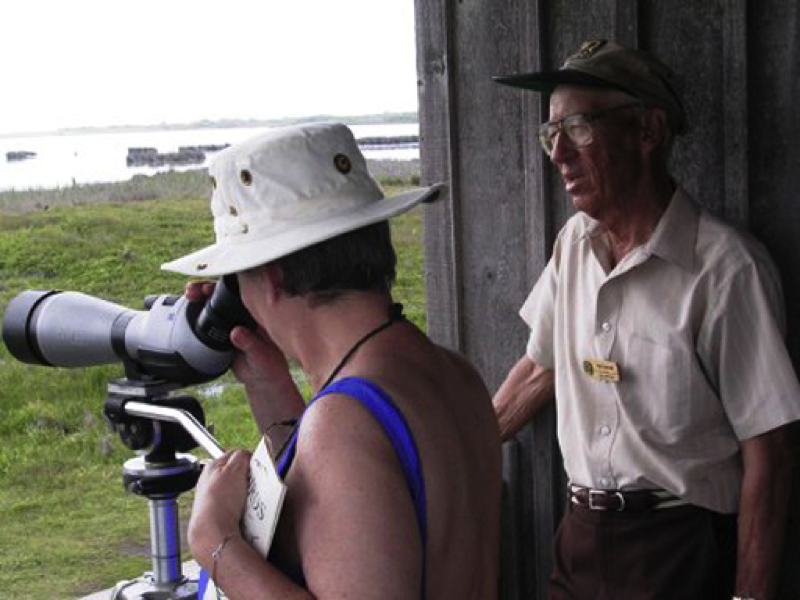 The bird list for the refuge boasts more than 365 species, and this is a great time of year to see many passing through. Bald Head Island, just south of Carolina Beach, provides critical habitat for a variety of birds and is the winter home of the largest population of American Oystercatchers in the state. 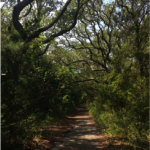 Check out Audubon NC and the Bald Head Island Conservancy for more information. 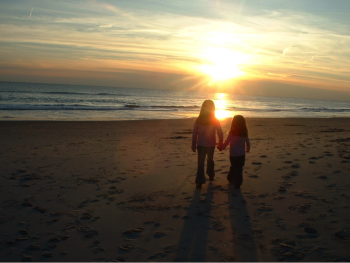 If a stroll on the beach and combing the shore for shells is more your style, the North Carolina Coast is the place to be. 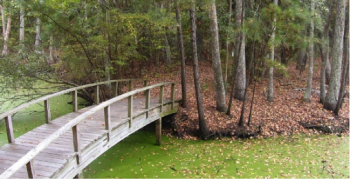 Take a step back into the military history of the North Carolina coast at Fort Macon State Park or Ft. Fisher Historic Site, bird watch at Goose Creek State Park, or enjoy a guided eco-hike at Hammocks Beach State Park. For a glimpse of the famed wild horses of the North Carolina coast, or to tour an uninhabited barrier island, visit the Cape Lookout National Seashore. 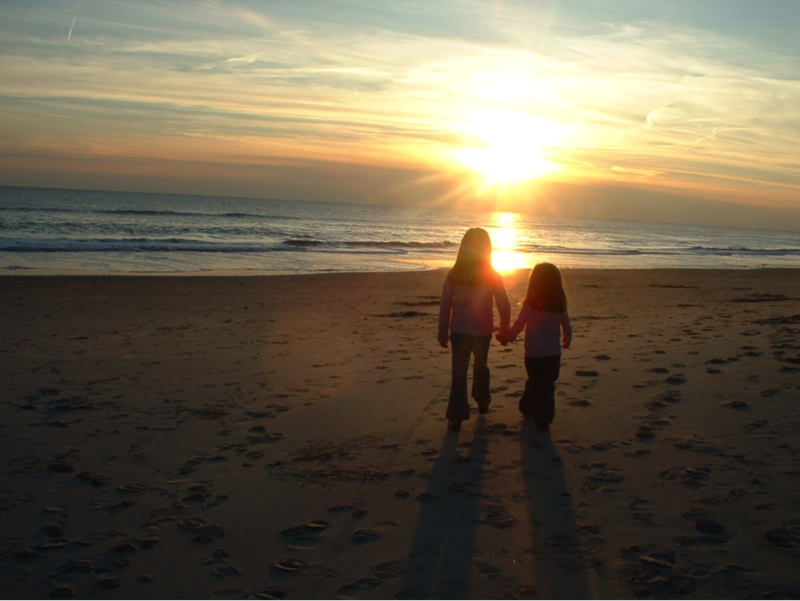 From Topsail to the Crystal Coast to the Outer Banks, our beautiful coast has a number of breathtaking alternatives to the Black Friday shopping marathon. So, get out and enjoy the coast — it’s one gift that’s sure to fit everyone’s style!